Did you know that the European Commission offers opportunities for everyone to improve their skills and employability? Did you know it is innovating in the fields of education, training and youth? In the field of Youth, you can participate in exchange or volunteering programs or both! These are designed to help you develop your skills, improve employment prospects and enhance European citizenship. As if these were not enough, they also open-up the way for you to discover new cultures and form new friendships from all over the world! Don’t know where to start from? Consider joining InterMediaKT team, with an unforgettable EVS experience in Patras, Greece! Are you young, 17-30, active and passionate? Do you wish to make a difference? Then you are ready for an EVS! It only requires your commitment, for 2 to 12 months in a country inside or outside the European Union. Up to 30 volunteers may participate in an EVS project. They are expected to contribute in the daily program of their hosting organizations. What are you supposed to do? That depends on you and your interests; environment, arts and culture, children, people with disabilities, social inclusion, intercultural learning, youth policies are only some of the topics you can work on. Do you want to check-up on your progress frequently? You can fill the Youthpass certificate, jointly with the organization hosting you. It would be completely yours after the completion of the project. 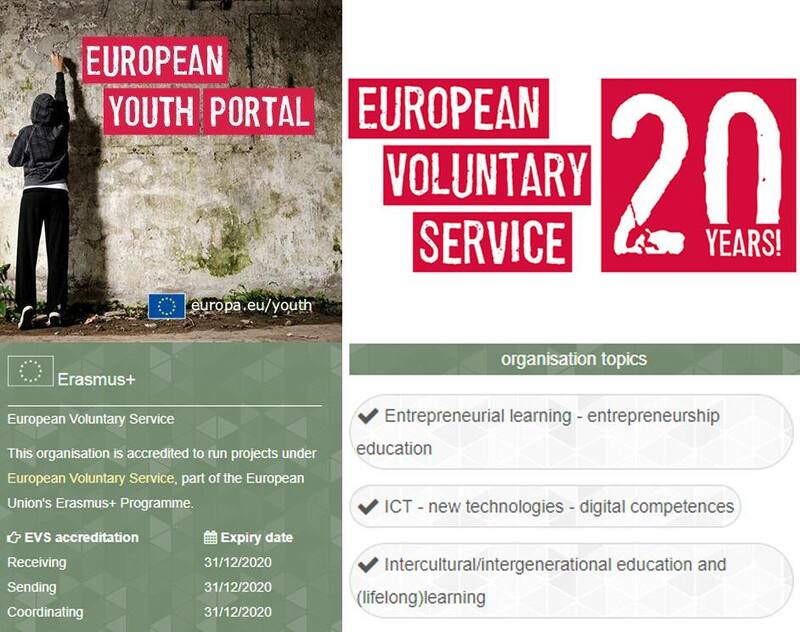 Since July 2017, InterMediaKT is accredited as a sending, hosting and coordinating organization of young volunteers, within the Erasmus+ European Voluntary Service program (EVS). The map below will guide you through all of InterMediaKT’s “little adventures”, with photos and testimonials of our participation in educational mobility activities! Subscribe for upcoming and exciting news!